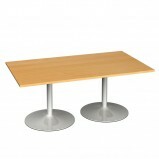 At Office Furniture GB we can provide a range of low cost conference tables. 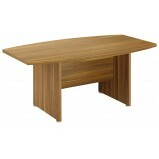 Contemporary design and quality are the common denominators of our large selection of boardroom and meeting tables. 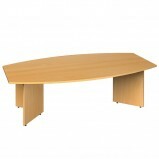 We also offer executive office desks and boardroom chairs to help create useable and very contemporary office interiors. Barrel Shape Boardroom Table ​Traditional styled rectangular boardroom tables on arrow head base Features 25mm MFC desk top available in a choice of finishes ABS edging impact resistant, Adjustable foot leveller Additional..
Circular Boardroom Table Traditional styled rectangular boardroom tables on arrow head base Features 25mm MFC desk top available in a choice of finishes ABS edging impact resistant, Adjustable foot leveller Addit..
Circular Boardroom Table A modern solution for any boardroom this range of tables uses silver finished steel trumpet bases. 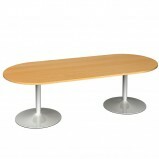 Select from individual boardroom tables or configure your own specification. Available in a choice of five ..
Extension Boardroom Table Traditional styled rectangular boardroom tables on arrow head base Features 25mm MFC desk top available in a choice of finishes ABS edging impact resistant, Adjustable foot leveller Modular ..
High Gloss Black Boardroom Table Introducing a fantastic new range of quality boardroom furniture available in High gloss polished 25mm tops and designer silver legs this range is easy to assemble and in stock. 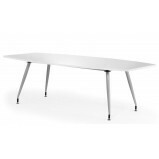 Features Hi..
High Gloss White Boardroom Table Introducing a fantastic new range of quality boardroom furniture available in High gloss polished 25mm tops and designer silver legs this range is easy to assemble and in stock Features Hig.. 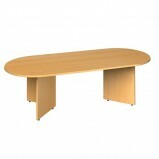 Radial End Boardroom Table Traditional styled radial end boardroom tables on arrow head base Features 25mm MFC desk top available in a choice of finishes ABS edging impact resistant, Adjustable foot leveller Additiona.. 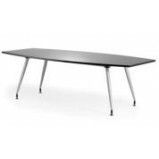 Radial End Boardroom Table A modern solution for any boardroom this range of tables uses silver finished steel trumpet bases. 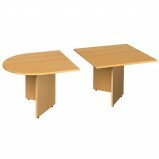 Select from individual boardroom tables or configure your own specification. Available in a choice of fiv..
Rectangular Boardroom Table Traditional styled rectangular boardroom tables on arrow head base Features 25mm MFC desk top available in a choice of finishes ABS edging impact resistant, Adjustable foot leveller Additional m..
Rectangular Boardroom Table A modern solution for any boardroom this range of tables uses silver finished steel trumpet bases. 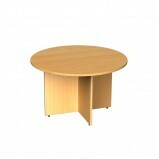 Select from individual boardroom tables or configure your own specification. 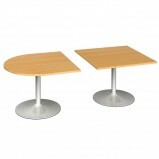 Available in a choice of five col..
Regent Boardroom TablesThe right furniture creates the right impression. The Regent Executive range offers desks, tables, pedestals, bookcases and cupboards, in tones of light and dark walnut, creating a stylish and inspiring atmosphereT..
Regent Circular TableThe right furniture creates the right impression. 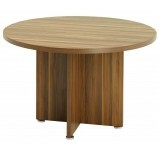 The Regent Executive range offers desks, tables, pedestals, bookcases and cupboards, in tones of light and dark walnut, creating a stylish and inspiring atmosphereThe Re..
Modular Circular Table With Round Tubular Legs Part of the modular table range with round tubular steel frame work. Five different top colours and leg finish options to suit every taste. 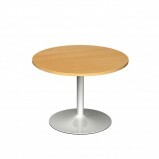 You can create various configuration to match your..
Modular Rectangular Table With Round Tubular Legs Part of the modular table range with round tubular steel frame work. Five different top colours and leg finish options to suit every taste. You can create various configuration to match y..